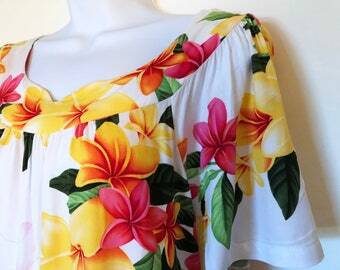 This is the coolest Hawaiian shirt! 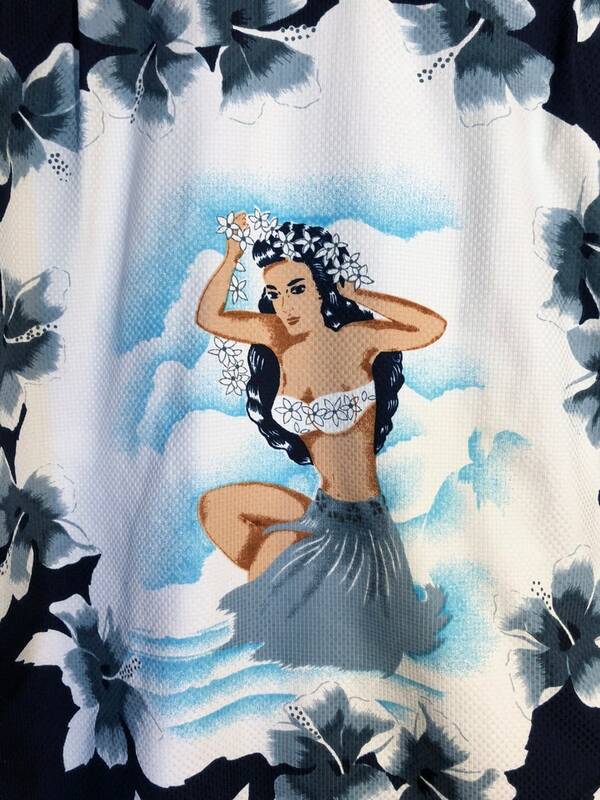 The back has a huge image of a Hula girl. And the front has cool, wooden buttons. Tiki time!